After a pleasant, relaxed stay in Tasmania, Stage 3 of my Round the World in 50 Days trip took me to the Australian mainland and the state of Victoria. Although the smallest of the mainland states, it is the most densely populated and includes Australia’s second largest city, Melbourne. My plan was to spend a couple of days exploring Melbourne before heading north-west to the interior. Then, after briefly crossing the state border to Mount Gambier in South Australia, heading south to the coast and travelling down Great Ocean Road from Warrnambool back towards Melbourne. I planned then to head to Eastern Victoria, but avoiding Melbourne’s congested roads by taking the Queenscliff-Sorrento ferry across Port Phillip Bay. Having a hire car and staying at motels meant that my itinerary could be very flexible. Unfortunately my arrival in Melbourne coincided with a heat-wave and temperatures up to 47°C, severely curtailing my exploration of the city. However by the time we travelled from Melbourne towards Ballarat, the mid-day temperature had dropped to only 17°C. Rapid weather changes are not unusual in Victoria; see my Quick Links to the left for Five day world weather and Weather annual averages. Otherwise my trip went more or less according to plan. Victoria proved to be a good introduction to mainland Australia in that the roads were good, the distances not too great and there are an abundance of good quality motels. The Ten Highlights of my visit to Victoria are given below in order as visited. Of course there are lots of great places in Melbourne including the Royal Botanic Gardens and the National Gallery of Victoria, and a ride on the City Centre Tram is not to be missed. 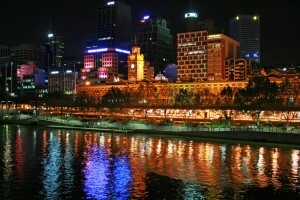 My list of highlights includes just the two in Melbourne that I found of most interest. 1. Melbourne Museum proved to be a very interesting, air-conditioned escape from the high daytime temperature. The Bunjilaka Aboriginal Cultural Centre within the museum prepared me well to understand the aboriginal background to many of the places I subsequently visited around Australia. 2. Melbourne, Yarra River Promenade. It’s a pleasant stroll along the river during the day and there are lively restaurants and bars in the evening centred on South Wharf. 3. Ballarat Botanical Gardens and Lake Wendouree. Small, well-maintained gardens with some historical aspects including the architecturally interesting Robert Clarke Conservatory. Lake Wendouree can add an attractive backdrop to the gardens, but when we visited, it was completely dried up. A major family tourist attraction in Ballarat is the Sovereign Hill open-air museum, situated in an early gold diggings area. 4. 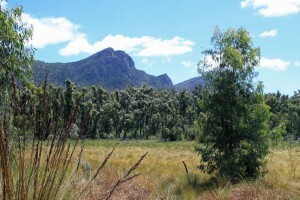 Grampian National Park with rugged mountain ranges, forested areas rich in wildlife and aboriginal heritage sites. The waterfalls were a bit disappointing when we visited due to a long spell of dry weather. Since then there has been extensive flooding in the area, again showing the variability of weather in Victoria (and much of the east of Australia). 5. 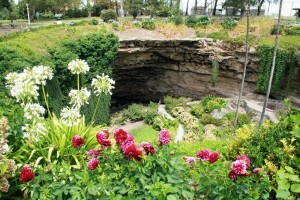 Mount Gambier just over the border in South Australia has some very interesting features. 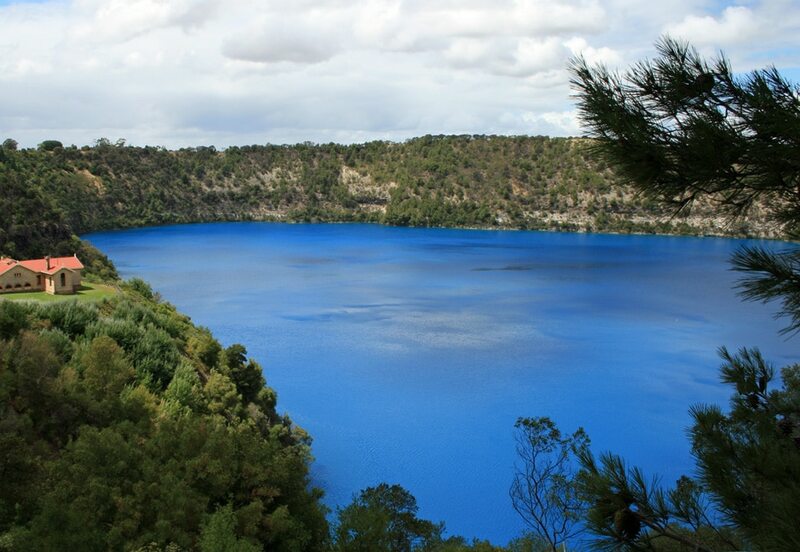 The Blue Lake in an extinct volcanic crater was intensely blue when I visited, even though it was a cloudy day. However it’s only blue between November and April, apparently as a result of micro-crystals of calcium carbonate forming above 20°C. Whatever the reason, it’s quite spectacular. There are tours down to the lakeside, but I forgot there is a 30 minute time difference between Victoria and South Australia and so missed the tour start time! 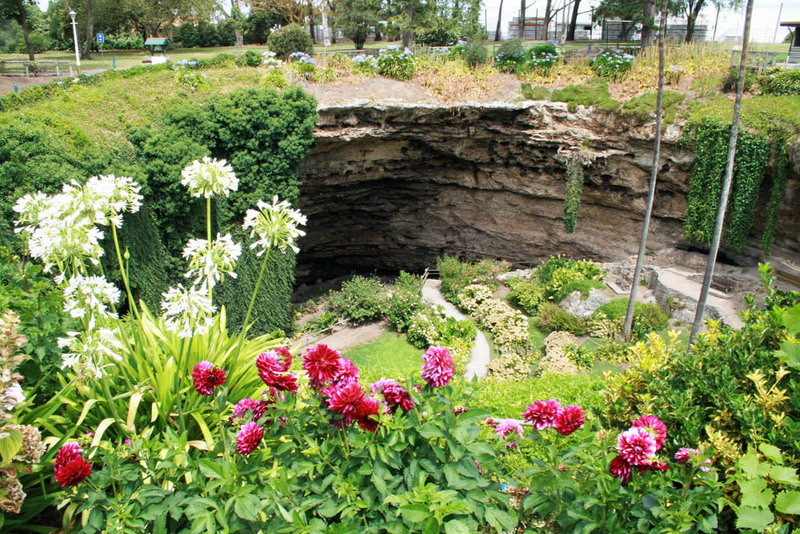 Also see the Umpherston Sinkhole, which dates back to 1886, where a well-kept, layered “sunken garden” features a wide range of plants and attracts many different bird species. Mount Gambier may be a bit Off the Beaten Track for those wishing to travel along The Great Ocean Road, but make the detour – you won’t be disappointed. 6. 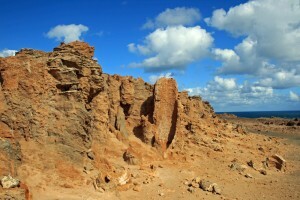 Petrified Forest at and Blowholes at Cape Bridgewater. Limestone remains of huge trees that once covered the sea cliff appear as strange cylindrical rock formations and nearby are blowholes which spout spray high into the air. This is a little way off the usual tourist trail, but well worth making the deviation. 7. 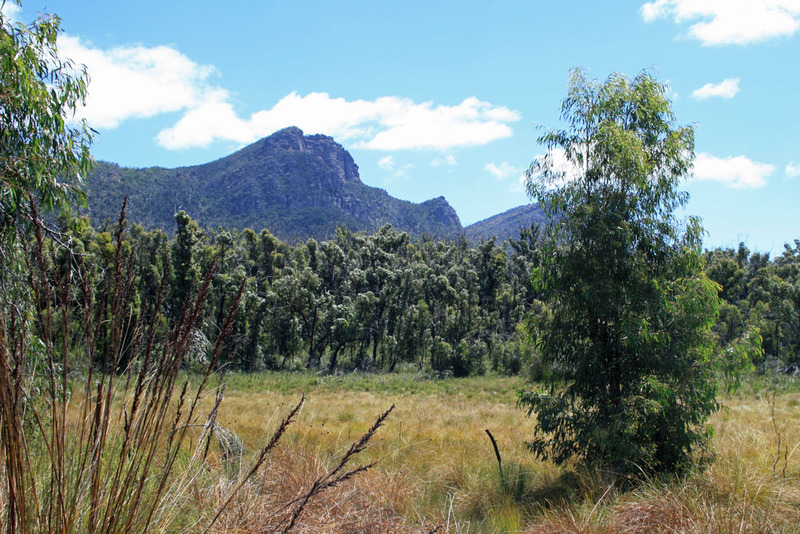 Tower Hill Wildlife Reserve, which sits inside an extinct volcano, proved to be an excellent place for viewing emus, koalas, kangaroos and a range of waterbirds, which roam freely. The 1,500 acres site includes Tower Hill Lake. 8. 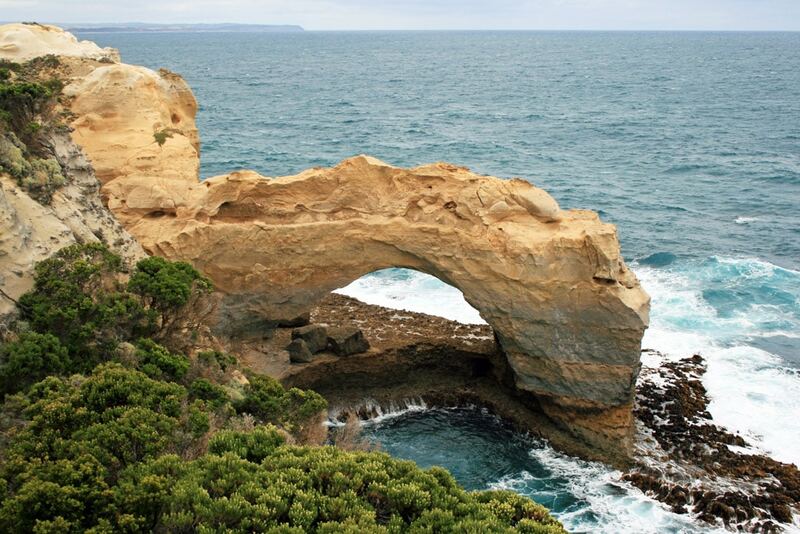 The Great Ocean Road officially runs for 150 miles from Allansford, near Warrnambool, in the west to Torquay in the east following the coastline. But, the extended version that I took from Mount Gambier was about 300 miles. I was rather disappointed that the road was often many miles away from the coast. The well-known spectacular views, such as The Arch and the Twelve Apostles, are reached by footpaths from the road. 9. Queenscliff, an attractive little seaside town 20 miles to the east or Torquay, with beaches, lighthouse, grand Victorian hotels and several good restaurants. This is the terminal for the 40 minute ferry crossing to Sorrento. 10. 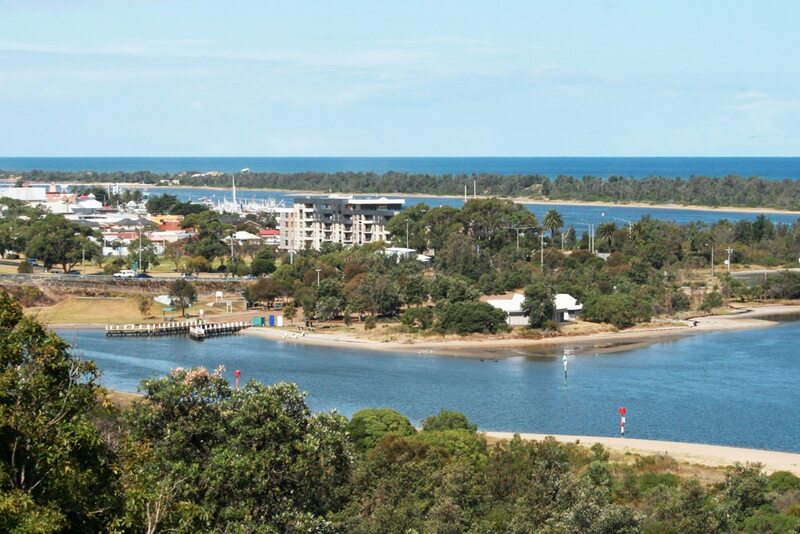 Lakes Entrance in Eastern Victoria, the access point to Australia’s largest inland network of waterways. Walking over a footbridge, with black swans in the water alongside, leads to the beautiful sands of Ninety Mile Beach; this will definitely feature in my Top Ten Beaches list when compiled. 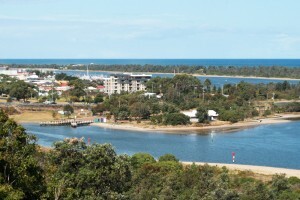 Lakes Entrance is renowned for its seafood, landed locally by the large trawler fleet. I organised the car hire via Auto Europe, picking up the car from Melbourne airport and dropping it off three weeks later at Brisbane airport. I took out a year’s insurance excess cover via carhireexcess.com, which was much cheaper than buying excess cover locally. Watch out for the slow lanes at intervals at the side of the road to allow overtaking and note that speed limits are strongly enforced. All the major hotel chains can be found in Melbourne and most give Senior discount rates; see my Hotel Deals for Seniors to find out how to get these special rates. Outside of Melbourne I stayed at motels, booked just a day or so in advance using trivago to get the best prices. In general these were of a high standard, usually with a fridge and microwave in the room, and sometimes with breakfast included in the price of about £50-70 a night for a double room. Most had free WiFi making it easy to book the next motels along my route. Stopped by Police on European Roads – News Report	Who Needs to Bother with Travel Insurance!